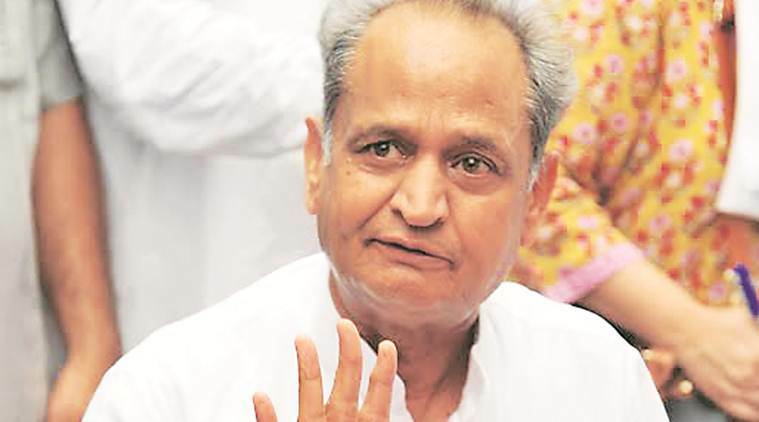 “It does not seem any correct decision is being taken by the government, be it for traders or farmers,” said Ashok Gehlot. What lessons have you learnt from the Gujarat episode? What is the big takeaway? What has happened in Gujarat is in continuation of what had happened in Manipur, Goa, Bihar or even Uttar Pradesh, where leaders of Samajwadi Party and the BSP are being taken away (by BJP). The thought process of the Prime Minister and (BJP (president) Amit Shah is undemocratic and dangerous — they want to finish off the Opposition. The BJP at one point of time had only two seats (in Lok Sabha), but we never said BJP should be finished off. Their politics of breaking other parties and that of blackmail….you see there is a mystery surrounding (Shankersinh) Vaghela’s exit from the Congress just four months before (Gujarat Rajya Sabha) elections. But the game they played this time has come as a blessing in disguise for the Congress. A message has gone out — people watched on television what was happening until 2am. They had created so much hype and made it (the Rajya Sabha election) sensational…. I believe the people have not liked it. The Congress did not put up a fight in other states. What was different in Gujarat? This episode has united the party — Vaghela on one side and the entire party on the other. That spirit will continue in the elections (Gujarat goes to polls later this year), and I am confident that we will win. The momentum building up in favour of the Congress has got a boost. How will the desertion of 14 MLAs (in Gujarat) impact, or affect, the party? In our party, it has always been a (tradition of) fill in the blank — new people will fill that vacuum. Had these people been there, freshers would not have got a chance, (because) the general rule in the Congress has been sitting-getting (sitting MLAs being renominated). You and other Congress leaders claimed on Tuesday afternoon itself that Ahmed Patel had received 45 votes – 43 from the Congress and one each from NCP and JD(U). But he actually got 44. What is the mystery? I cannot say anything. A BJP MLA and one MLA each from NCP and JD(U) had claimed to have voted for Patel. It is difficult for me ascertain who among them did (vote for Patel). I can say that even if the two votes were not rejected, we would have won as we were sure that we have got at least 44 votes. Then why did the Congress insist on rejection of their votes? The constitutional scheme should be protected. When you blatantly violate laws and rules of the Election Commission, we have to question. Seventeen years ago, an Independent MLA’s vote in Rajya Sabha election was disqualified because he had declared that he had voted for the Congress. We did not object. A year ago, Randeep Surjewala’s vote was rejected after the CLP (Congress legislature Party) leader accidentally saw his ballot (in Haryana). It was rejected. We did not object. And they (BJP) created a hue and cry. What was the need for half-a-dozen top ministers to reach the Election Commission? Now the BJP is said to be planning to take this matter to the court? Let them go. Who is stopping them? Everybody has the right to move the court. We are not worried. Is there any chance of a rapprochement with Vaghela before the Gujarat Assembly elections? ? And who will your chief ministerial candidate? That chapter is a closed. After what he has done on Tuesday, the chapter is closed. The chief ministerial issue…will be open. The high command will take a decision based on the performance and what the MLAs think. What is your realistic expectation in Gujarat? The BJP has set a target of 150 seats. Will you have alliances? We should win. There is (public) mood in our favour, and Tuesday’s developments have only boosted our morale and energised us further. As for alliances, our doors are always open — all are welcome. Is there any possibility of an alliance with NCP. Do you think the NCP betrayed you and backed BJP? We don’t want to get into who did what in (yesterday’s) election. Our doors are open. Alliances will be depend on mutual relations…. It will depend on how things go from here. The Congress old guard was out in full force on Tuesday. You have shown the stomach to fight. So Patel could win because the old guard stepped in? When will Rahul be elevated as the Congress president? Is it going to be delayed? When we have faith in Sonia Gandhi and Rahul Gandhi, then why should we make it a matter of dispute…as to when he will become. At the right time, the right decision would be taken. But I believe Rahul Gandhi should take the decision as early as possible.